Last October, The Centers for Medicare & Medicaid Services (CMS) released the final rule for MACRA and introduced new value-based reimbursement system—the Quality Payment Program (QPP) with two major tracks, the Merit-based Incentive Payment System (MIPS) and Advanced Alternative Payment Model (APMs). For practices, changes to their Medicare value-based programs workflow could be a pain point. Their income via Medicare Part B reimbursements could also be at risk if they fail to meet the requirements of the new program. Adding to the pressure, their ‘MIPS 100 point final score’ is also set to be made public by CMS. Successful submissions to Medicare and avoiding penalty under the new program depends on the practices’ ability to document and furnish data in three performance areas, referred to as categories, in 2017: quality, advancing care information, and improvement activities. 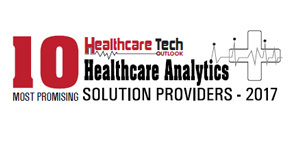 On the grounds of this impending paradigm shift, Mingle Analytics has strategically repositioned itself to address the new Medicare reporting program that puts the emphasis on getting paid for performance, or the value of care delivered. “We are in the transition phase, aligning our strategies to Medicare’s attempts to have a more value-based purchasing model in place,” says Dan Mingle, M.D., M.S., Founder & CEO of Mingle Analytics. Dan points out that small practices, owing to the lesser adoption of EHRs and with their relatively limited reporting tools struggle with the appropriate granularity, quality or flexibility needed for quality reporting. On the other hand, the bigger players too often rely on ‘one size fits all’ systems which may result in poor performance metrics. Addressing the reporting needs across all sizes of players in the space, Mingle Analytics adopts a consultative approach coupled with an end-to-end process that encompasses strategy setting, reviewing documentation of care, and analytics, culminating in a successful submission to Medicare. The result is that the providers and practices avoid penalty and maximize their potential for incentive under the new program. The company’s solutions and tools are vendor-agnostic and can accept data from all EHRs and practice management systems. Mingle’s systems make it easy to map data from different sources to measure concepts, enabling clients to identify areas where performance needs to be enhanced during the year. While the success rate of all claim submissions to Medicare stands at 40 percent, an impressive 99+ percent of submissions handled by Mingle Analytics are successful. The sky-high success rate can be attributed to the robust review of measures and data that Mingle’s services team gives to clients before submissions are made. Mingle Analytics has a Net Promoter Score of 94 out of 100. As a seasoned physician and early programming enthusiast curious to leverage IT for practice management, Dan recalls that his motive to help fellow physicians was one among the factors that spurred the conception of the company. When Medicare offered the Physician Quality Reporting System (PQRS) as their reporting program, he built the first registry for the health system he was working with. Dan then went about helping others with setting up their registry and then ultimately, founding Mingle Analytics. The multi-talented pioneer has been the principle architect of nine qualified registries. As Mingle Analytics evolves through changes in the healthcare informatics landscape, Dan envisions transforming the company into an entity that helps clients harness more value from their data. “Once we are holding the data that is suitable for quality reporting, there is tremendous opportunity to serve our clients better, by setting the foundation for additional analysis and reporting requirements— such as patient centered medical home reporting or for commercial insurance programs that help organizations to maintain credentials. Helping them with improving the EHR configuration procedure, training of staff, and the ability to monitor the use of document systems and bringing them to high quality, reliable systems are what we are planning to add into the product and service mix in the future,” Dan concludes.